it goes without saying that underage drinking has become a widespread issue in modern American society. In fact, studies show that approximately 72 percent of students will have consumed alcohol before high school graduation and 37 percent will have by the eighth grade, according to the National Institute on Drug Abuse – well before the legal drinking age of 21. As a dad, it may be difficult to see your little ones as potential victims of alcohol abuse, but the reality is that more and more children engage in underage drinking every day. This issue is fueled by the portrayal of alcohol and other drugs in mainstream, young adult culture. As such, it's more important than ever to begin discussing the dangers of alcohol with your children at an early age and throughout their lives. Most children are too young to comprehend the seriousness of alcohol consumption until middle school. As your children enter adolescence, you'll want to ramp up your conversations regarding this topic. During this time, share the facts of alcoholism and abuse so that your kids have a greater understanding about its real dangers. Ask them if they've encountered instances of alcohol or drug use in school and get their take about how that makes them feel. By encouraging an open discussion, you can better prepare them for the realities of peer pressure. 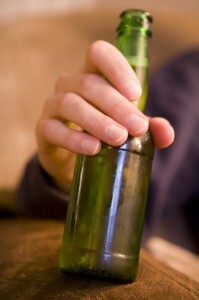 As your children move from middle school to high school, the potential for alcohol abuse increases. This period of development also comes with innate feelings of independence and rebellion, so it's especially important to make your child know that you trust and respect them as individuals. Avoid preaching to or threatening your children, as this may cause a rift in your relationship and push them toward open defiance. Your best hope at this point is that a lifetime of alcohol education and discussion has instilled strong values and responsible decision-making in your teens.